You need choose the "Amount" and the price will auto change. 21 size available - Please choose from the drop down menu. Manual measurement, there is error about 2-3mm. 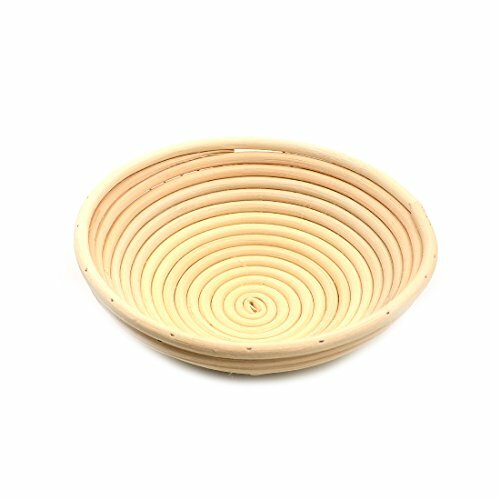 Dedicated fermentation rattan baskets, make a circle around the beautiful shape. Dusted with flour before the rattan basket with rattan baskets, shaping the dough is smooth face down into the final fermentation. Rattan basket for sourdough bread, the bread finished product to be larger than the actual bowl. Because it is Natural handmade products, so with the smell of the cane itself,A well ventilated place, the taste will slowly decrease. so the pursuit of the perfect buyer, please carefully. If you have any questions about this product by AngelaKerry, contact us by completing and submitting the form below. If you are looking for a specif part number, please include it with your message.